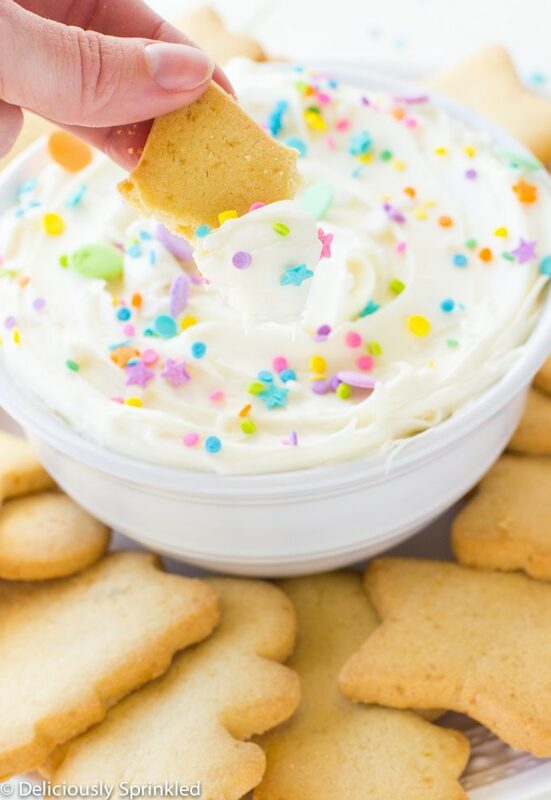 This creamy, fluffy Sugar Cookie Dip is an delicious and easy dip recipe everyone will love. 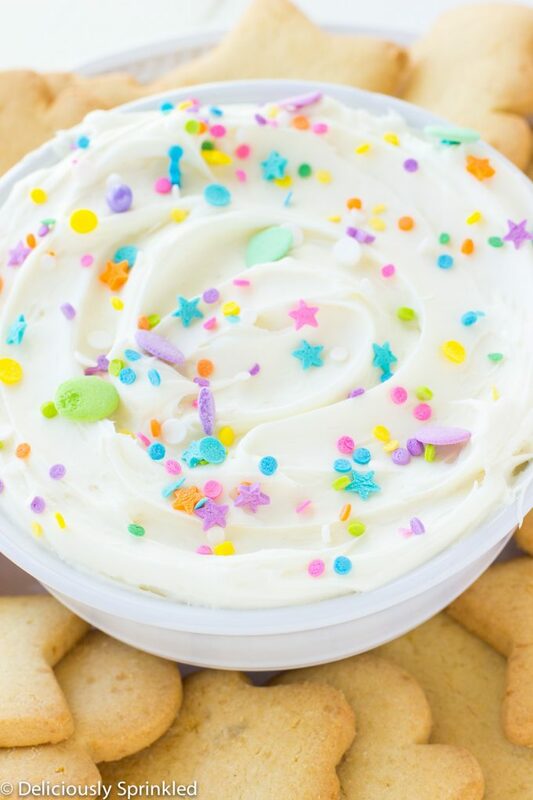 Don’t you just want to eat this Sugar Cookie Dip with a spoon!? I do, it’s so good and super addicting. If you’re looking for a no bake appetizer to bring to your holiday party this weekend, this is the dip to bring and it only takes 5 minutes to make. 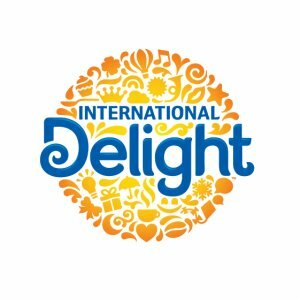 INTERNATIONAL DELIGHT CREAMER: As you know, I LOVE the International Delight Frosted Sugar Cookie Creamer. I try to use it in anything I make, like my frosting recipe. But if it’s not the holiday season and you can’t find the frosted sugar cookie creamer, you can use heavy whipping cream instead. 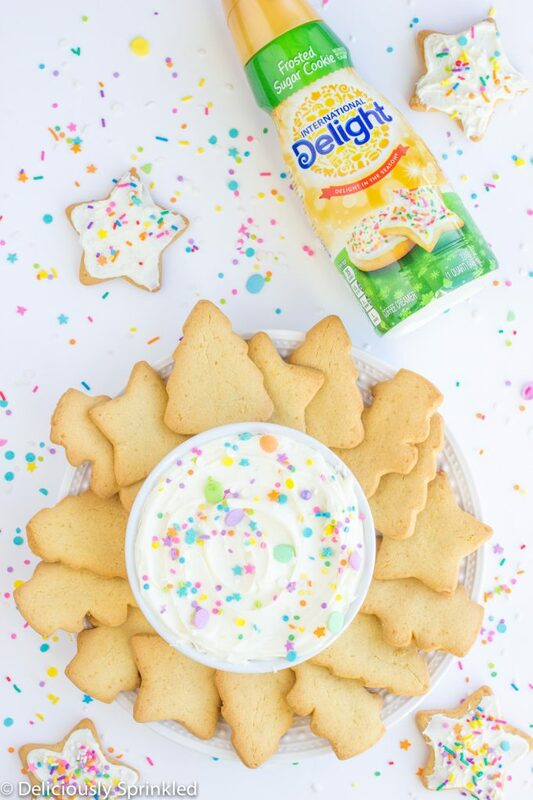 SPRINKLES: This dip can be made for ANY occasion because you can switch up the sprinkles to fit with the party theme. 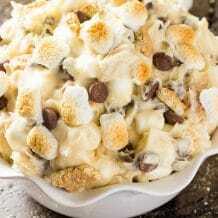 I used these sprinkles in today’s recipe. 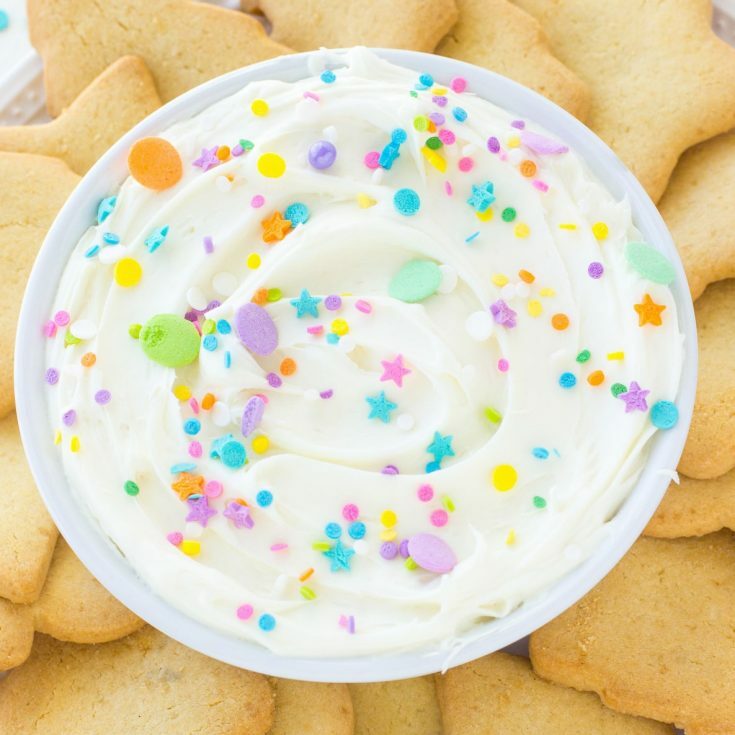 SERVE: Once your ready to serve this sugar cookie dip, I like to serve it with sugar cookies but you can serve it with oreos, graham crackers, pound cake, animal crackers…you name it the options are endless. 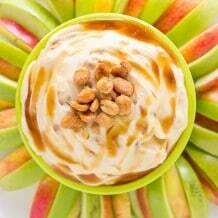 Using an electric stand or hand mixer, beat cream cheese, creamer, powdered sugar and vanilla extract until smooth. Fold in cool whip. 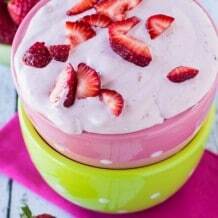 Place in refrigerator until ready to serve. 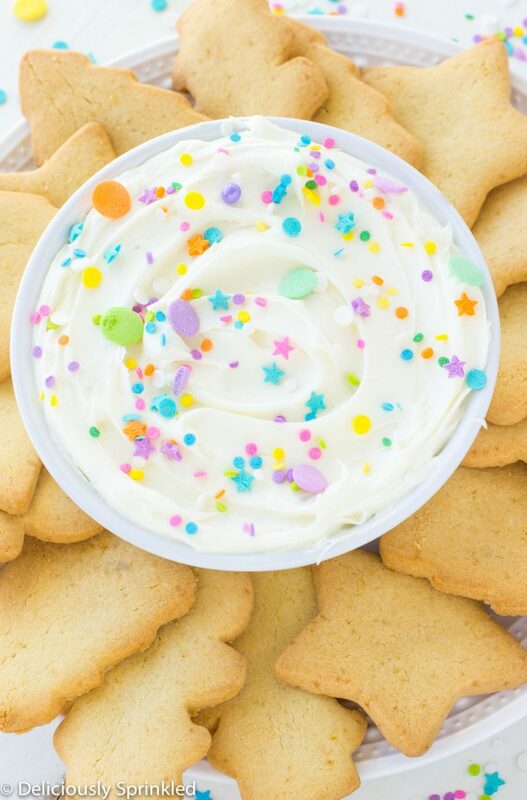 Top with sprinkles and serve with sugar cookies.